There’s a Japanese legend of the shinigami, immortal beings that encourage humans toward deat. 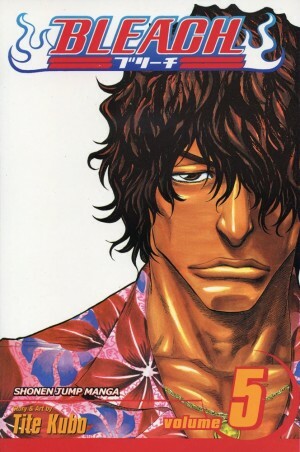 From the vague idea that Tite Kubo wanted to illustrate such a creature in a kimono the series that’s run for sixteen years and 74 volumes to date was born. Bleach has inspired four anime movies, and a live action version is on the way. From such tiny acorns massive oaks do grow. 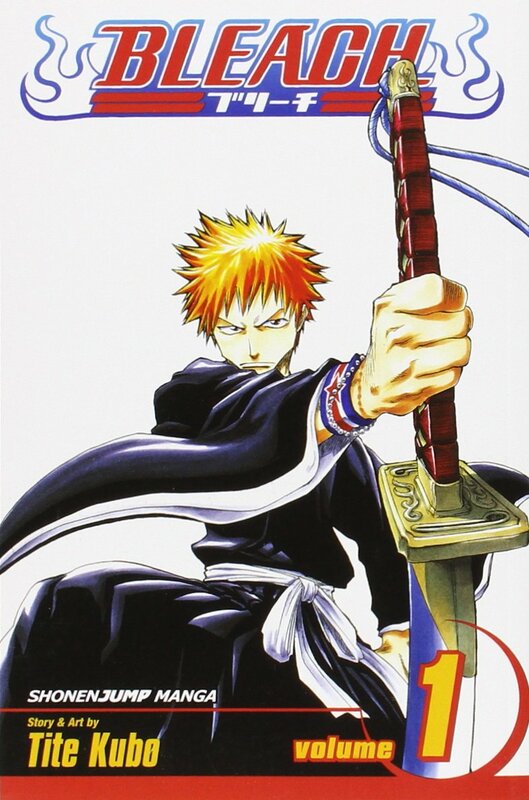 A massive part of Bleach’s appeal is the visual distinctiveness of the lead character, Ichigo Kurasaki, a fifteen year old high school student as the series begins and characterised by his almost flaming spiky red hair. 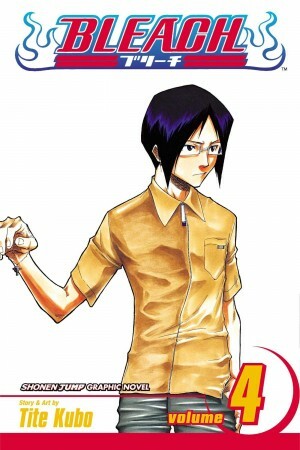 Kurasaki was born with the ability to see ghosts, among them shingami, and in the opening chapter is placed in a desperate situation. The only method of avoiding his fate is to become a soul-reaper. It’s not where he saw his life going, and furthermore it isn’t the one time only deal he presumed. 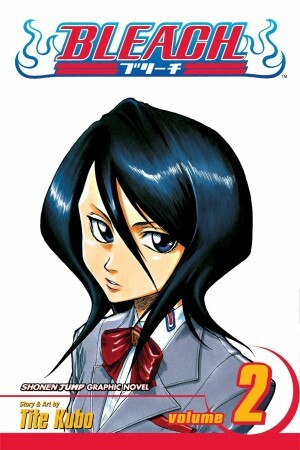 He’s a novice stuck with the powers and with a surly tutor, Rukia Kuchiki, who’s now left with only residual magic after Kurasaki drained her. As happens so frequently in Japanese series, the next step is her turning up at his high school as a fellow pupil, and as the book continues both Kurasaki and readers learn more about the requirements and responsibilities of his new position. Kubo tells the story employing many typical Japanese stylistic devices, and some can make events tricky to follow. He concentrates on figures, illustrating as few backgrounds as possible, rapidly ramps up emotional responses to cartoon exaggeration, and drops into short sequences presenting cute junior versions of the cast. Action panels are deliberately crowded, cramped and plastered with sound effects, and the cast in general either have mouths agape or rendered as a thin line. It’s with the plot that Kubo’s originality manifests, and then only toward the end of this first book when he introduces a weighty emotional depth to what begins as a standard mission. 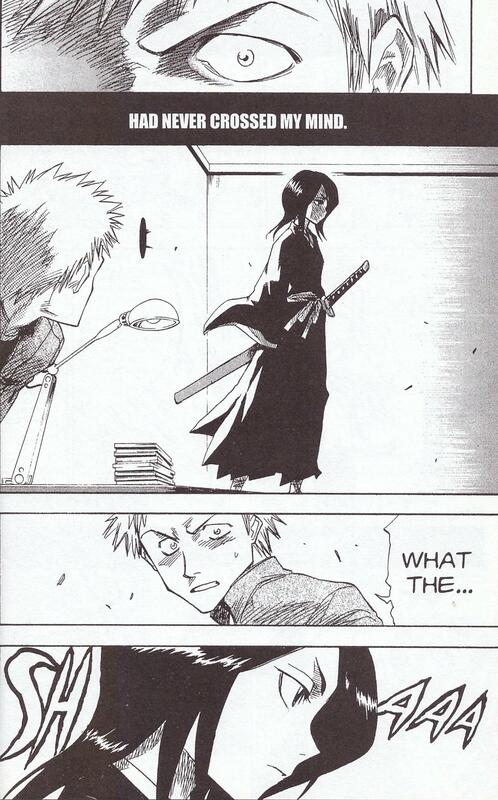 It’s a glimpse as to what Bleach could become. There is a formula applied to Bleach, with narrative road blocks deliberately set in place as limitations, but by the end of the book a charm is also starting to break through. A cliffhanger leads into Goodbye Parakeet, Good Night My Sista.